The Border Raiders 2019 player registration is now open! We need all BASL Seniors & Juniors to register & pay asap… As season start is the 6th & 7th April 2019.. Please note that player registration is now completed through FFA/FV’s new PlayFootball online system. PLAYERS: You will first be required to enter your account details, including first and last names, date of birth and an email address. Please note that if you have previously played football in Australia you will likely have an FFA number already. To have this FFA number attributed to your new PlayFootball account you will need to include whatever email address you have used to register in previous seasons. If you cannot remember your previous email address or no longer have access to it, please enter a new email address and you will be given a new FFA number. A verification code will be sent to your nominated email address. Once you have completed these first steps you will then be able to select the relevant registration package and register for the Border Raiders 2019. You must ensure that you select the correct player registration package when registering. **Please note that you do not need to upload a profile picture. This is optional and not required to register for the Border Raiders. PARENTS: You can register all your children from the one Playfootball account and do NOT need to set up a new account for each child. Acc Name: Moama Echuca Border Raiders Soccer Assoc. 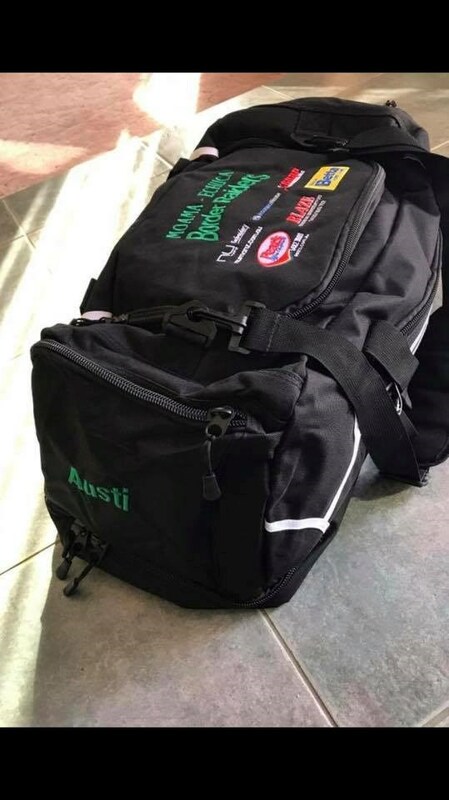 Don't forget we still have a sports bags for sale. The Victoria Hotel Motel is the place to meet with family and friends. We've all heard the term "a great pub meal" well, that's what you get when you come the Victoria Hotel Motel. Lots of activities and 6 comfortable motel rooms.